Discover a new world of gaming experiences with PlayStation®VR. 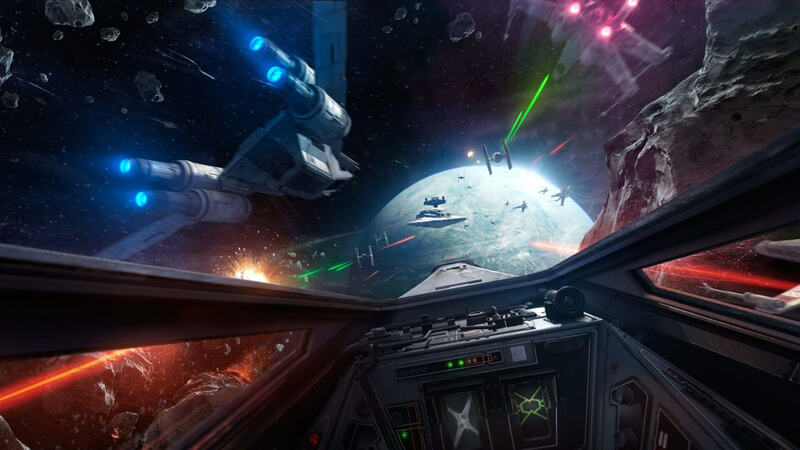 Redefine your expectations of immersion as you put yourself in the cockpit of an X-wing to carry out an important mission for the Rebellion with Star Wars Battlefront Rogue One: X-wing VR Mission. Arriving exclusively to PlayStation®VR this holiday, it is free* for all owners of Star Wars™ Battlefront™. Since it is free, and only 20 minutes long, it’s pointless to give the X-Wing VR Mission a formal review score. But if we did so just for technical excellence, Star Wars wish fulfilment, and the potential it suggests for the future, it’d be a solid 10/10.